Goro Miyazaki’s debut feature as a director is an epic adventure, adapted from the much-loved series of novels by Ursula K.Le Guin. It tells the story of Ged, the most powerful wizard in Earthsea, and his attempts to protect Prince Arren from the evil machinations of rival wizard Cob . Together with Therru, a young girl he rescued from slave takers, Arren must unite with Ged to defeat Cob and return balance to their world. 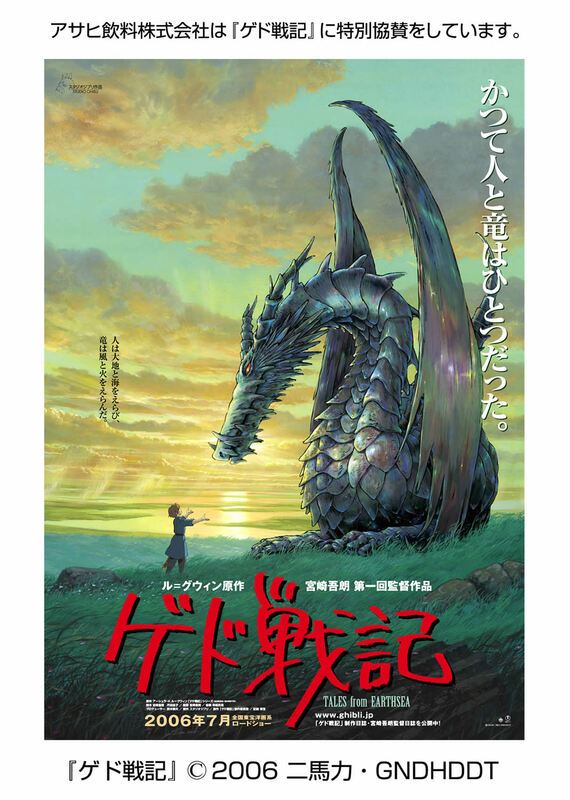 Beautifully animated, Tales From Earthsea will enchant viewers of all ages and once again shows Studio Ghibli at the height of its powers.